GARDAÍ HAVE APPEALED for witnesses after a 17-year-old male was killed in a single vehicle crash in Meath. 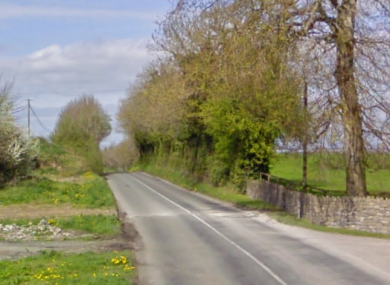 The teenager was fatally injured when the car he was driving crashed into a fence in Port Lester, Ballivor, Co Meath at about 7.15pm yesterday evening. The stretch of road is currently closed in order to facilitate an examination by Garda forensic collision investigators and local diversions are in place. Gardai are appealing for witnesses to contact Trim Garda Station on 046-9481540, the Garda Confidential Telephone Line 1800 666 111 or any garda station. Email “17-year-old dies in single vehicle crash in Meath”. Feedback on “17-year-old dies in single vehicle crash in Meath”.